The Malawi Government through Ministry of Labour and Manpower Development has assured all vendors across the country that market fires will soon become history since the ministry now knows their causes. 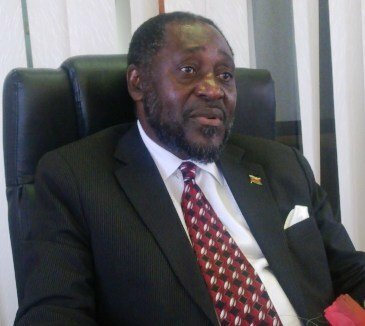 Speaking to Malawi24 on Thursday, the minister responsible Henry Mussa said his ministry has also established remedies to the markets fire problem. Mussa says govt now has clues. Mussa who was appointed by President Peter Mutharika to chair a task force on market fires in July, claimed that all paperwork has been done and they are ready to implement the recommendations they gathered from stakeholders. “We are yet to implement recommendations but we are almost done and soon we will put what we gathered to practice,” said Mussa. This publication’s peep into some recommendations gathered by the task force found that the ministry will work with councils on how to implement some workable safety measures in markets across the country. The ministry will also reason with commercial banks and lending institutions on how victims of such fires may be repaying their loans. This comes after the country experienced five market fires between September and October this year. That mean the one you caught last month is the one who makes you to knwo? Bwana its u who ar funding pple to burn our markets ,u think we are fuls eti? Ndale za kale izi bambo. koma chifukwachotu ndiye simukuchutchula apa?kapena alipo wa amvetsetsa andunawa za chifukwa chake?Ndiye mavenda adzngoti athetsa vuto mwina adzati vuto ndimavenda ogulitsa mawaya amagetsi?kkkkkkkkkkkkkkkkkkoma boma ilinso aaaaaaaaaa. nde bwanji mwadziwa misika itatha? thats sounds good,but tells who is involved in recent fire blasts which have gutted aproxmately to billions of kwachas of innocent Malawian vendors.And that one mustn’t run the long arm of law to convet those having this evil thinking capacity in heads.Dont just speak to cool us noooooo!! Honourable minister sir, are you serious ? If they know their causes where were they all these years? Is this the first time DDP has reigned or were the recent fires the only fires? Nanga adayatsa warehouse ya electoral commission ndani? Nonsense….. what you write does not correspond to your titles/heading, this proves that you lack proffessionalism… i dnt enjoy your articles honestly…. Good news bt stop assuring us always yet we see no change,l wonder why since you got into power last year these fire accidents became too much than before,,,,,may b the gov is promoting fire development??????? Kod¡ N’chfukwa chan m¡ska ¡makonda kupsa usku?No doubt ¡ts man made. Mayooo ine nkhani ya misika ikhala history? Mumaotcha dala kuti muzitiuza zopusazi. Nanga ngati mukudziwa bwanji sinanene yemwe amayatsa moto kapena chomwe chimayambitsa motowu? Bwanji simunanene chomwe chikuyatsa misika ndiye kuti nda abwanawa? who hv been blaze our markets acrose the nation?can u plz disclose the causative? Mkawauze Kubomako Kuti Akupangazi Nd zankutu! Kumayatsa dala misika et ma reform kmaDpp kanyama iwe?